« Erin Bibeau Photography — Fort Collins! Today I decided to attempt the unlock procedure I found on the web for the TH-D72A. There are a few different ideas out there that differ from each other. I looked around a lot, and the one I tried worked! I thought I’d add some additional photos here to make it easier for people to do this on their own. All the other sites I found were forums, and those sometimes drive me crazy to read through. 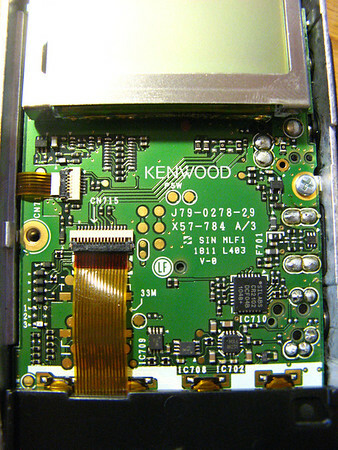 Before you get started, use MCP-4 Kenwood programming software to back up all your radio settings! The first step is to remove the antenna and the 2 knobs on the top of the radio. The knobs simply pull straight off. 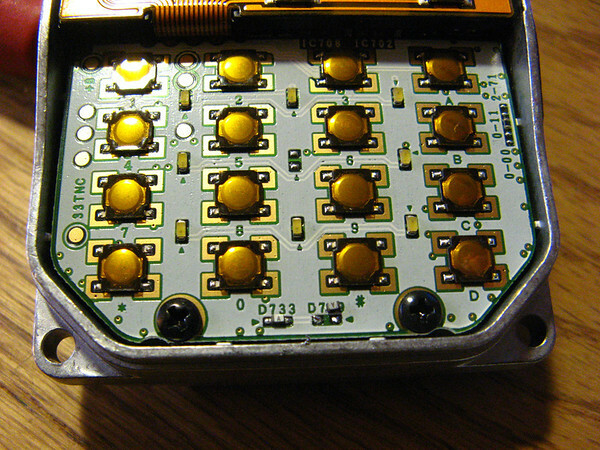 After you are done that, remove the battery, and then remove the 2 small black screws that are near the bottom of the radio, under the battery. 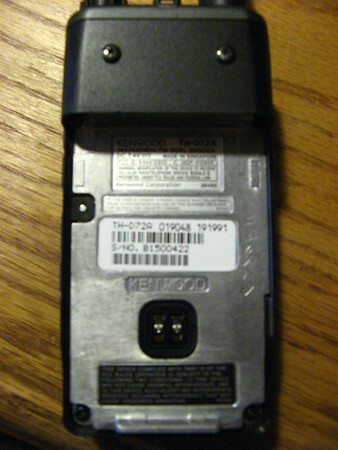 Remove the rubber cover that protects the ports on the side of the radio (USB, speaker, etc). 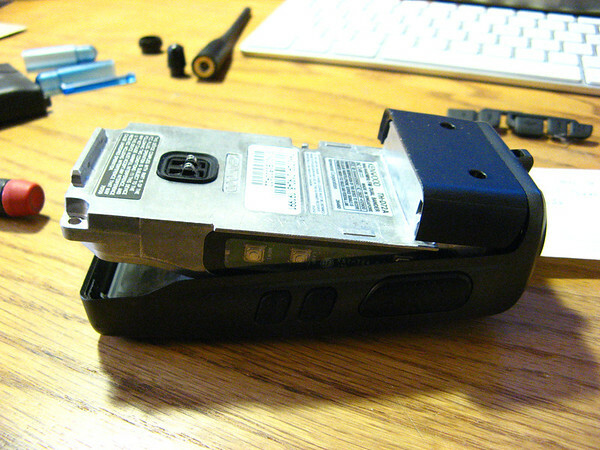 To do this, you will notice a small rubber flap under the battery, near the middle of where all the rubber flaps are. Use a small regular screwdriver to pry the rubber up and over the metal stud, then just pull the rubber flap assembly off. Once this had been done, you can carefully lift the body of the radio up and remove it from the housing. If the rubber key membrane did not stay in the housing, remove it from the radio body now so that you can access the circuit board. There are 2 diodes that need to be removed, Diode #729 and Diode #730. Diode #729 is located near the bottom of the circuit board. Use a small tip soldering iron and a pair of tweezers. I used a very small screwdriver to put pressure on one side of the diode, the pushed slightly as I heated the solder joint on that side. Once it moved a little, I held it with tweezers while I heated the other side. I taped the diode to a post-it note, labeled it, and saved it in the radio box. 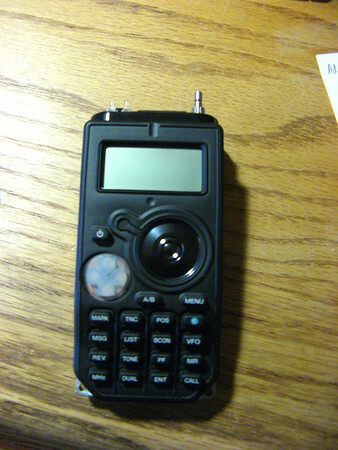 Here is a photo of diode #729. To remove the other diode, you’ll need to remove the screw that holds the speaker assembly in place. Once the screw is removed, hinge the speaker over the cable and remove the diode labeled 1, saving it with the other. The radio is now ready for re-assembly, in the reverse order. One thing I had difficulty with was the rubber key overlay. I found that in order to reinstall the radio body into the housing case, you must put the rubber key overlay onto the radio body first, not into the housing first. The radio now has expanded Tx ranges. I like this option so that I can communicate over FRS or GMRS bands with non-HAM operators. 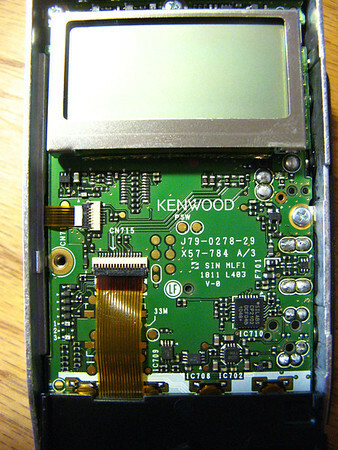 This entry was posted in B's Blog, N0BCB and tagged Kenwood TH-D72A frequency modification, Kenwood TH-D72A hack, N0BCB. Just did the Mod 11-5-2018 and it worked. Great directions and thanks for the photo’s !!! Jezz these diodes are tiny. . Thanks again for the site and help! I too just performed the MOD as described and it worked just fine. I was very concerned the HT may have had some hardware updates that would have prevented success since your posting. Because the diodes are so darn small, I was almost sweating bullets thinking if it didn’t work, it might be done (I can’t see the ones that popped off). Just did the mod, and this mod still works as of 9/5/14. The diodes are MUCH smaller than I suspected!! But anyway, this mod is still effective. Thanks!!!!!! !